When you use a font in just about any word processing or design application, it doesn't actually copy or embed the font into the document. And when you place a photo using a non-Adobe program like Microsoft Word, the software embeds it in a way that's impossible to extract the photo if it needs modification. These issues can cause a problem when working with non-Adobe programs. Luckily it is a problem that's easy to fix. While Adobe InDesign gathers the elements we need to print a job, non-Adobe programs like Microsoft Word typically do not. In other words, non-Adobe programs use the fonts on your computer. If you then send these files to us, when we open them on our side the programs don't warn us if they are missing any fonts. The result: your print won't look the same as it did when you created the file, as the fonts may be different, causing paragraph justification to change, etc. etc. This has been a problem for a long time, yet you can solve it very easily. 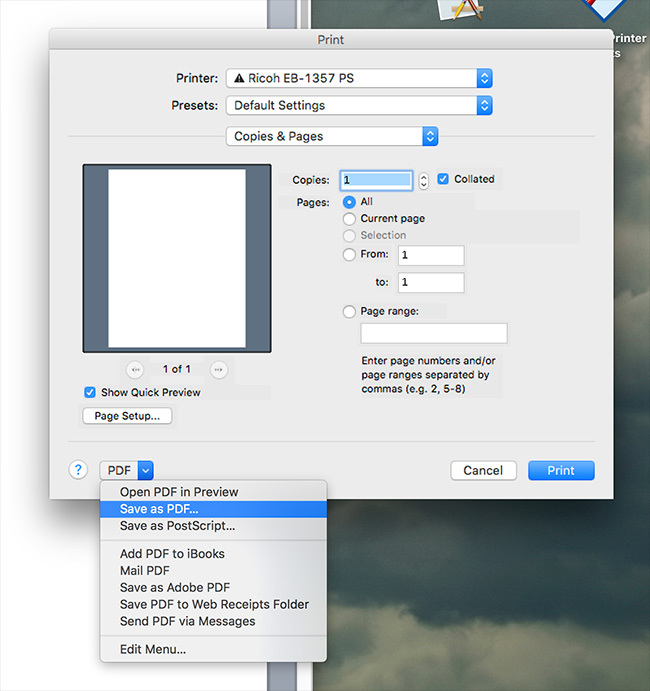 Save your document as a PDF! Just about every program today supports the creation of Adobe Acrobat PDF files. For example, there is a quick function in Microsoft Word that allows the user to save a PDF right out of the application without any problems. If you can't figure out how to save your file as a PDF, give us a call and we'll walk you through it. Let's see if we can figure it out together! If you're using a Mac, you have another option. 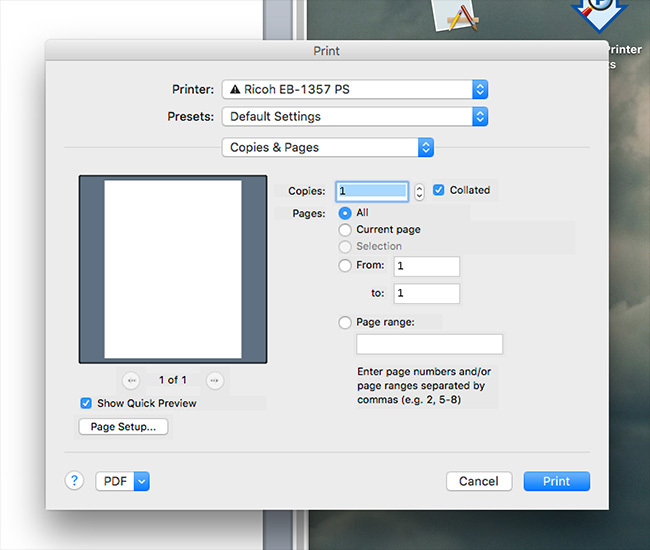 When you go to print from any program, there is a PDF function tab on the lower left hand side. 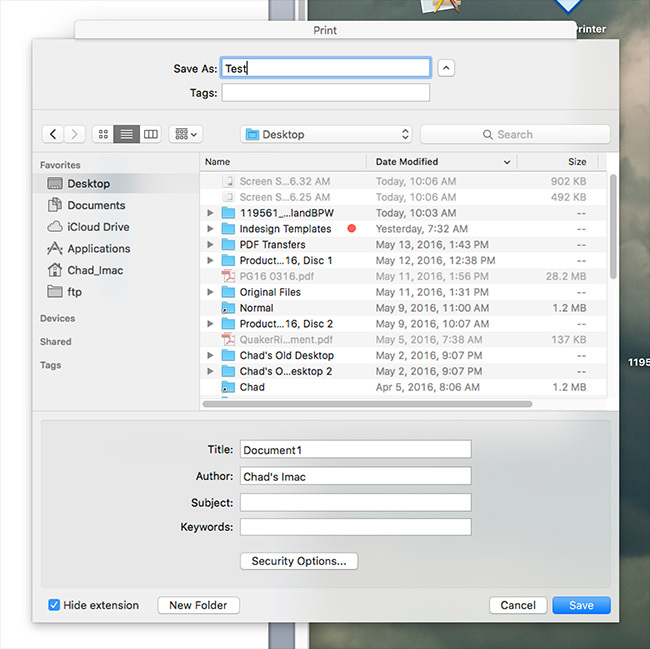 You can save the document as a PDF right there.